When the newest Medieval recording from Blackmore’s Night, SECRET VOYAGE, crossed my desk earlier this week, I immeadiately went up to my music room to see just how many albums this band has released…..and how many I own. 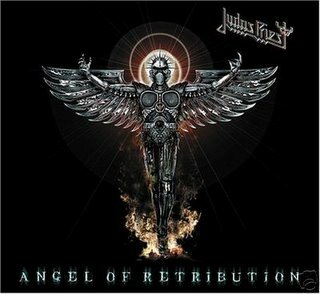 I couldn’t believe that this was the band’s 9th album (7 studio records & 2 live albums) in 12 years! I also couldn’t believe that I have every album but one live offering: PAST TIMES WITH GOOD COMPANY (2003). I’m not sure how I’ve done it but I seem to have this soft spot for New Age/Renaissance Music and the duo of The Maestro Blackmore and The Lady Night. While listening to SECRET VOYAGE, I came to the conclusion that you could interchange the songs on each of the band’s studio albums and you would essentially have the same album. That’s not to say that the songs are necessarily bad…..the songs are very well played by Blackmore and his band of Minstrels and Candice Night has a very beautiful voice. 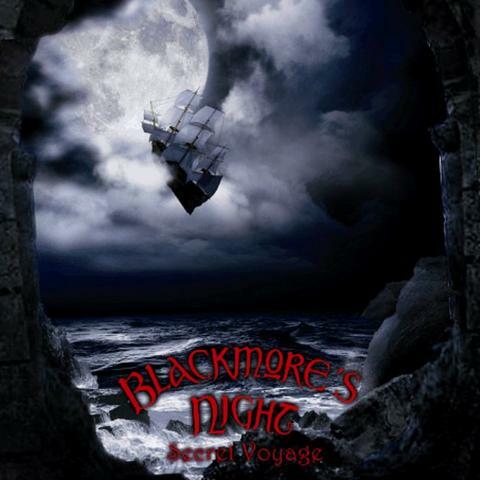 The problem is that once you’ve heard a Blackmore’s Night song, you’ve basically heard them all. There really is nothing that stands out to make each song unique. The album opens with a quick instrumental intro ‘God Save The Keg’ (a song title straight from the Tankard songbook!) that moves into the 8 minute plus Medieval epic ‘Locked Within The Crystal Ball’. Eight minutes is a little long but the song is uptempo and Candice Night sounds in fine voice. I have visions of the band riding horses over green fields making their way to a castle…..you get the picture! ‘Gilded Cage’ is a slow ballad that has some excellent acoustic guitar with a haunting vocal and ‘Toast To Tomorrow’ is the albums’s “let’s drink to celebrate something” song. Every Blackmore’s Night album has a song with the theme of “raise your glasses of mead high and celebrate” and ‘Toast To Tomorrow’ is just that. Just when I thought I was going to hear the same old album, Ritchie Blackmore shows his genius with the beautiful instrumental ‘Prince Waldeck’s Galliard’. Not sure what the song’s title means but I can honestly say that this 2 minute solo spotlight is one of the highlights of SECRET VOYAGE. Blackmore is a guitar legend, his talent is so great that you just expect him to deliver and he does again on the Renaissanced cover of the Rainbow classic ‘Rainbow Eyes’. The original “man in the hat” pulls out his Fender Strat for a shortened version of the song from LONG LIVE ROCK ‘N ROLL (1978). Maybe it’s the familiarity of Rainbow (Blackmore’s second legendary band) or maybe it’s the Strat coming out to breathe some life into the music. What I find interesting is Ritchie’s tone on this song, it sounds very similar to the guitar tone Carlos Santana used on ‘Smooth’ from SUPERNATURAL (1999). ‘The Circle’ isn’t really that exciting, it sounds like everything before it. A well played song but there is nothing to differentiate it from any other Blackmore’s Night selection. Just like every Blackmore’s Night album has a “drinking/celebration” song, every album also has a “beautiful woman dancing and singing” song. On this album, ‘Sister Gypsy’ takes that honor. It’s not a bad song at all, again very well played and sung, it’s jsut that the subject matter has been done before. The crime of the album is the cover of Elvis Presley’s ‘Can’t Help Falling In Love’…..or for you children of the ’80s, the cover of the UB40 cover of the Elvis original. Now I can see Ritchie covering himself, I’ll give him a pass on that because it’s his material, but I can’t ever forgive a cover song taking the place of original material. I would rather have another original song with the same themes than this uptempo Folk version, Elvis is either rolling in his grave or rolling his eyes in his secret hideaway. After covering Elvis, anything should sound good so ‘Peasant’s Promise’ turns out to be a fairly good song but nothing special and ‘Far Far Away’ has Candice Night’s best vocal of the album. The final song, ‘Empty Words’, is a continuation of the opening intro and features the exquisite acoustic playing of Blackmore and a quiet pretty vocal from Night. The song is supposed to be how people talk so much but yet say so little, how the meaning is lost because it’s just all the same over and over…..kind of how I feel after hearing this band release the same album over and over! As I mentioned at the beginning of this review, it seems that I have acquired all of the Blackmore’s Night discography except for one live album. That must mean that the band is doing something right for me to keep coming back, doesn’t it? Well they are doing something right because SECRET VOYAGE debuted at #1 on the Billboard New Age Chart upon it’s release July 15th and has remained in the top spot since. Obviously the Blackmore name has something to do with it because Ritchie’s legacy is legendary and synonymous with Classic Hard Rock but the music that Blackmore’s Night creates is very well played and structured. The music itself is top notch and Candice Night puts in another solid vocal performance (she is made to sing this Medieval/Folk music) but my complaint is that the song ideas seem to be the same on every album and that makes each listening experience feel the same. Some fresh ideas/lyrical themes are needed desperately. The inclusion of two cover songs makes me deduct points but one is a Rainbow cover so I can’t be too harsh with that one, the Elvis tune is just plain awful! I would also normally deduct points for too many instrumentals but this type of music is based on the instruments so they get a pass. Actually, two of the high points are the instrumentals: the quick intro ‘God Save The Keg’ and ‘Prince Waldeck’s Galliard’. It’s not a bad record but if you’ve heard any of the other Blackmore’s Night albums then you know what you’re getting. I would suggest SECRET VOYAGE for the band’s (and Ritchie’s) diehard fans and New Age music enthusiasts. This album was painfully dull. As for the music being top notch, I don’t think so because I as much as I respect Blackmore it just seems like he is going through the motions any more. The music is so slick and glossy that it really fails to bring about any emotion and I think this kind of music really needs that to have any chance of making an impact. Then again I may just be an old sourpuss who wishes that Blackmore would knock out just one more actual rock album. As far as Blackmore’s Night goes, I have every studio album and the music is expertly done. I think that the problem is what people expect from Blackmore rather than what he is doing. I’m in that boat, I would prefer he get back with Purple or Rainbow but he is doing what he is doing. The guy can basically play anything he puts his mind to so I think it is all well-played but the ideas, the lyrics, the arrangements, they could be interchanged with other Blackmore’s Night songs on previous albums and you wouldn’t know the difference. granted, I am not a New Age expert so I could be missing something important but there really isn’t much that sets itself apart from the rest of the catalogue.